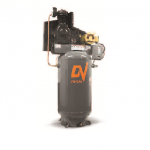 With so much of our business depending on the compressor we looked long and hard before selecting DV compressors. DV is over 100 years old, manufactures in the USA and offers better value and support than mass market brands. 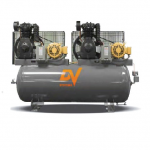 DV uses larger pumps turning at slower speeds and backs them with better warranties. 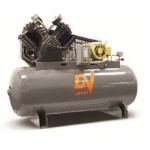 DV regularly supplies parts for compressors they built over 60 years ago. Haldeman routinely quotes pressure lubricated compressors for thousands less than others offering splash lubricated machines. 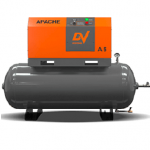 Ask us why we recommend DV compressors and the answer is… Value! DV emphasizes the product over the marketing. 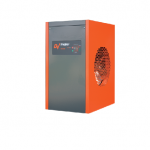 When Haldeman installs the equipment, we prefer that it is powered by a DV compressor.